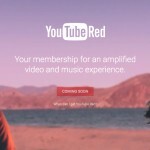 YouTube Red has arrived, but will you jump on the bandwagon? We’ve known since Oct. 21 that the YouTube Red subscription service was coming soon. When all of ESPN’s YouTube channels went dark, it became clear that the launch of the new ad-free experience was near. Now, YouTube Red has gone live, allowing the first potential viewers to sign up for their one-month free trial. One concern that many YouTube stars expressed was that they would not be paid if their videos were viewed during a free trial period. According to BBC, Google is expected to confirm that the YouTube video creators will continue to be paid even during the trial period. After that month of free service, YouTube Red will cost subscribers on Android devices, the desktop, and mobile Web $9.99 per month. 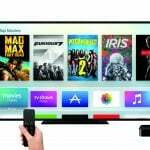 However, iOS users will be forced to pay $12.99 per month as YouTube recoups the 30 percent subscription revenue that Apple takes as its share. What will you get for your monthly subscription fee? You’ll be able to view videos in an ad-free environment. You’ll also be able to download videos for offline viewing. The YouTube Gaming app and YouTube Music app will also be available ad-free. Beginning in 2016, YouTube Red subscribers will also receive access to new original shows and movies from the likes of CollegeHumor, Joey Graceffa, PewDiePie, and others. As nice as YouTube Red sounds, I simply cannot justify adding it to my entertainment budget. Competing streaming services like Hulu charge $7.99 per month for limited commercials, and $11.99 monthly for no commercials. Netflix’s plans start at $7.99 for movies and television shows without any commercials. Nobody knows what the quality will be of YouTube Red’s original programming, so it’s difficult for me to swallow jumping from free to $9.99 per month.